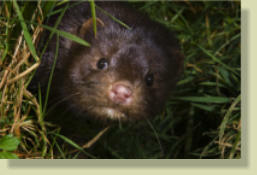 In modern times habitat loss has diminished the water vole population in Britain by over 90%. 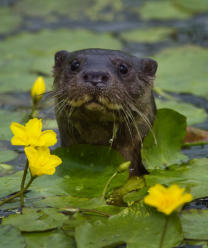 Water voles are preyed upon by a wide range of native predators but have no developed adaptation against introduced North American Mink (Neovison vison) In extensive, complex, wetlands mink predation alone can retard water vole populations by up to 60%. In linear riparian environments their survival can be impossible.